If you are exhibiting your cat at a GCCF cat show, you need to take the right stuff – white stuff! 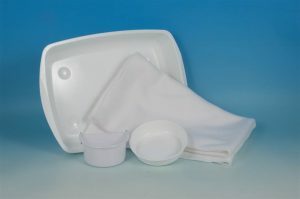 We have all of the essentials in stock, including litter trays, dishes, blankets, show beds and more. 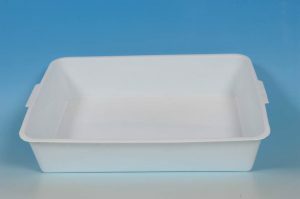 The Small White Litter Tray is made from durable plastic. 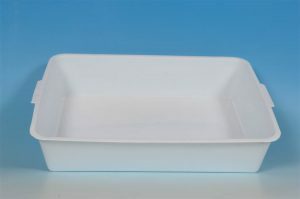 It measures 36cms (14″) long x 26cms (10″) wide x 6cms (2.5″) deep.